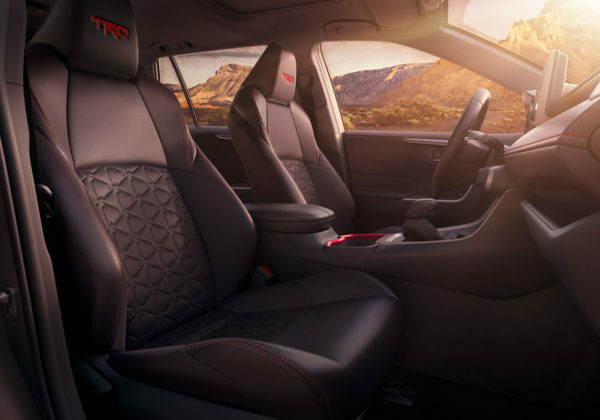 If we hear TRD Pro one more time, there are some in the newsroom that will absolutely lose their you-know-what. 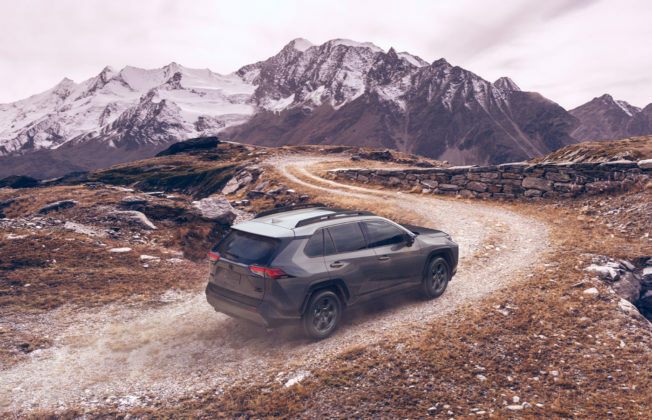 The new RAV4 is the latest and certainly most surprising Toyota model to get the rugged off-road treatment. The 2020 Toyota RAV4 TRD Off-Road was a bit of a surprise at the Chicago Auto Show. 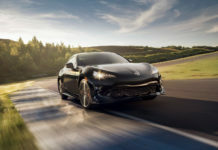 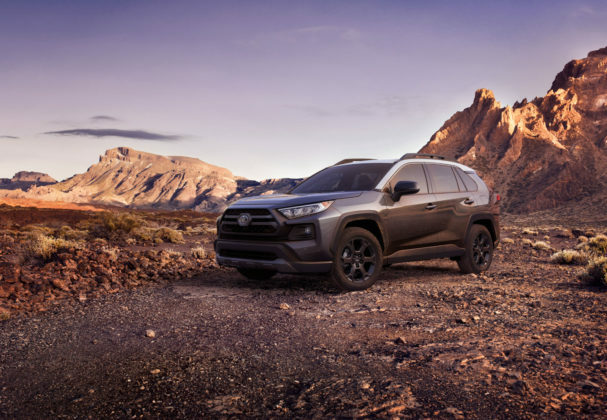 It joins a host of Toyota TRD models launching this year including the 4Runner TRD and new 2020 Tacoma TRD. 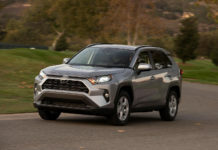 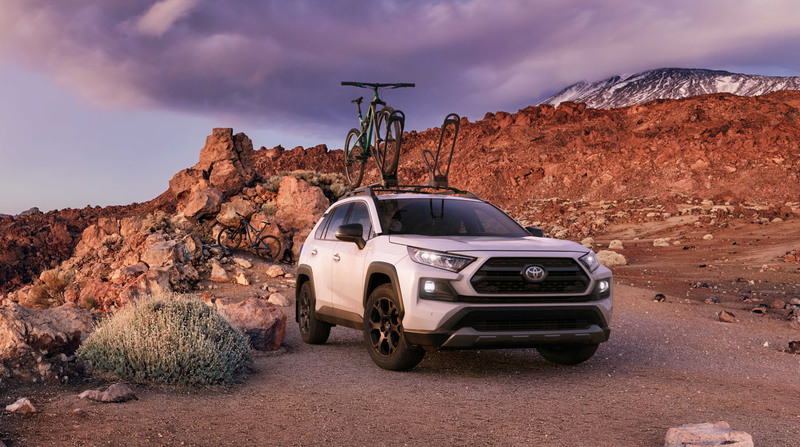 The redesigned 2019 RAV4 was already offered in a more rugged TRAIL model with an advanced all-wheel drive and terrain management system, but the 2020 RAV4 TRD Off-Road will take it one step further. 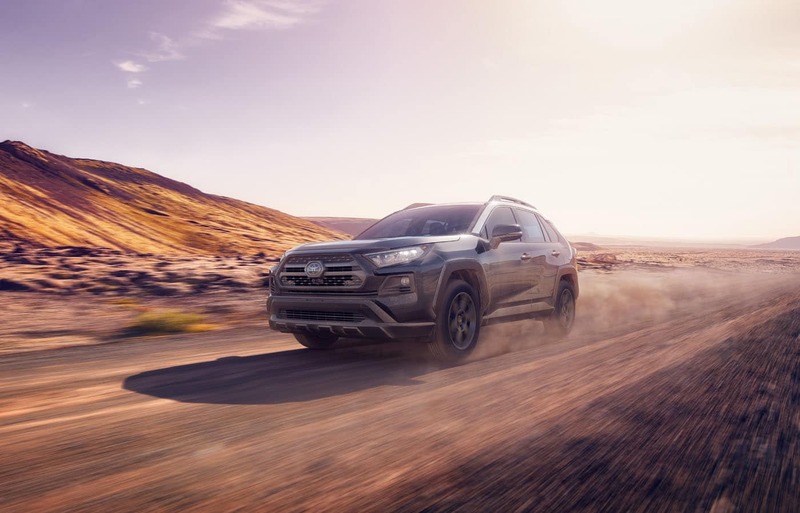 The RAV4 TRD Off-Road will take the Trail’s higher 8.6-inch ground clearance, but adds a new suspension setup and tires to go even further off the beaten path. 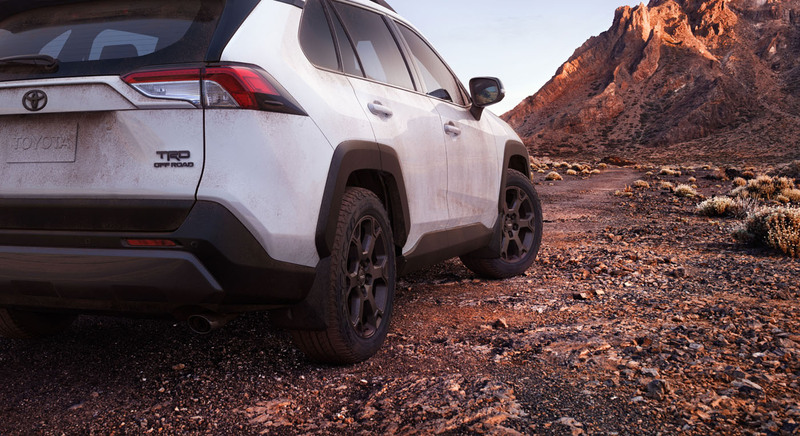 The TRD Off-Road may even be worthy of competing with the Jeep Cherokee Trailhawk. 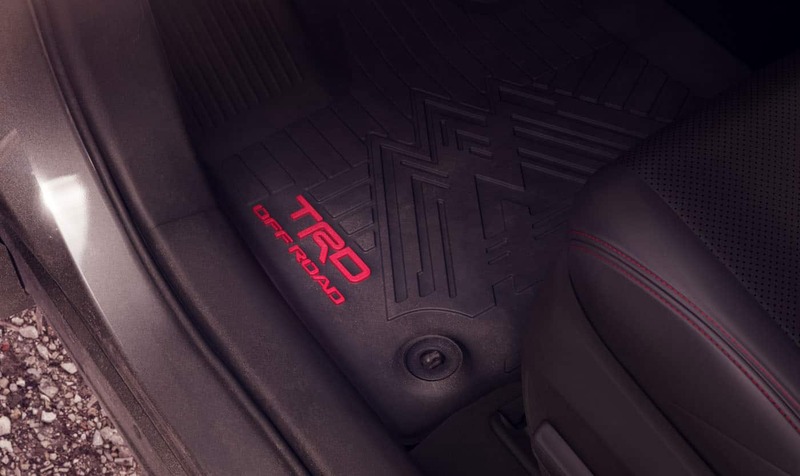 The TRD gets torque vectoring all-wheel drive standard which can split the power distribution evenly between the front and rear axle and between each wheel on the axles; various driving modes included in the Multi-Terrain system such as Mud & Snow, Rock & Sand, and Snow; and Falken Wildpeak all-terrain tires wrapped around matte black 18-inch wheels. A special off-road suspension is also part of the RAV4 TRD Off-Road’s features list. 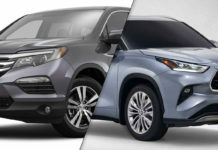 We’ll let Toyota explain it. TRD Off-Road suspension is engineered to enhance body control and small-bump isolation to help smooth out trails and rough city streets. 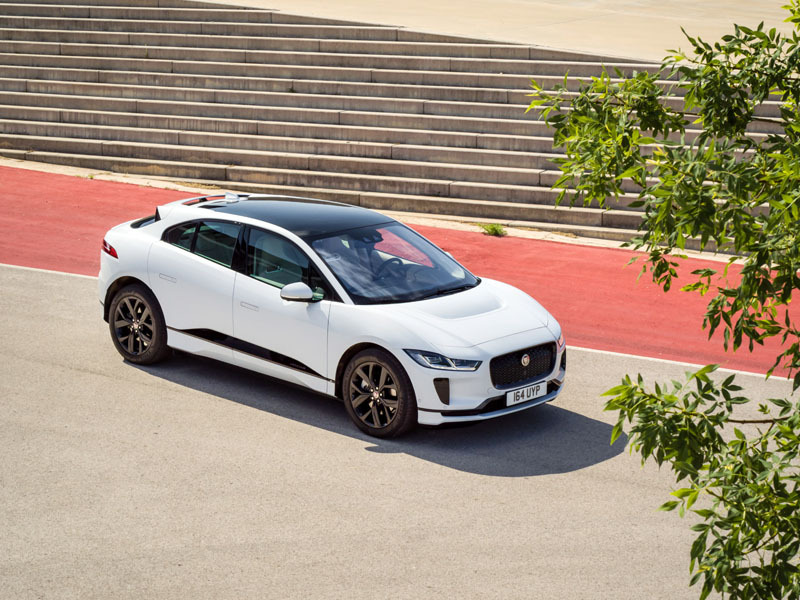 Unique red coil springs are tuned for an off-road focus. The twin-tube shocks are re-valved and feature new internal rebound springs to improve rebound control. 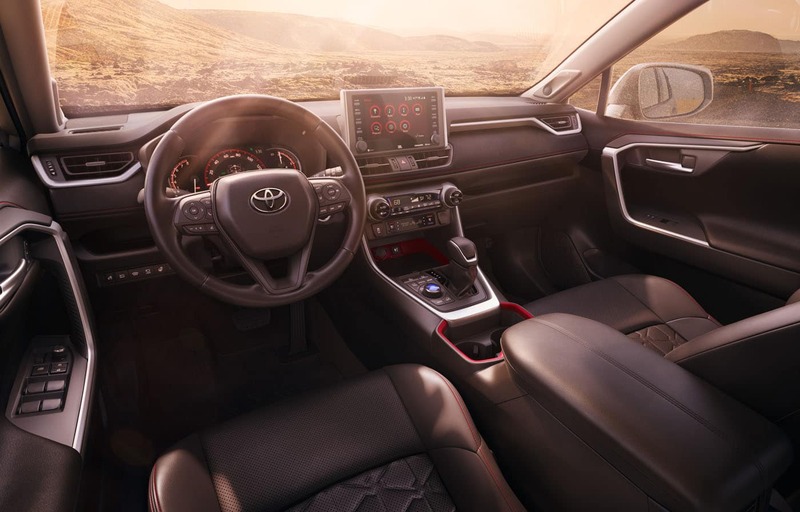 New bump stops maximize compression direction wheel travel and help improve body control over large bumps and dips. 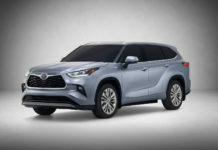 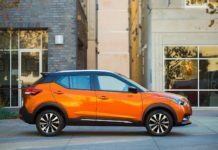 As is usually the case with Toyota models, the most rugged of new Toyota RAV4 models will also get Toyota Safety Sense 2.0, a collection of standard active safety features that includes radar-based cruise control, automatic braking with pedestrian detection, lane departure alert with steering assist, and more.